It’s been a great year for games- and not just because I played and reviewed more this year than I think I ever have before, but because there were a number of really high quality, innovative releases that came both through traditional publishers as well as crowdfunding. My collection has a high turnover rate- I don’t keep games that don’t get played regularly beyond the review period- but this year I found myself constantly struggling with finding space to put new games that I want to keep around for a while. So of course it’s the last day of the year and it’s time to hand out the Barnes’ Best Awards. This year was pretty tough, and I had something of a dry run with the Win, Place or Show feature I ran over at Miniature Market’s Review Corner. I picked three games there- all three are represented here as well- but I was limited to games that Miniature Market stocks. Which actually cut out my Game of the Year choice. I’m also once again changing the format because I can do that, so that I can make sure that the runners-up get their time to shine. Let’s get right on with it then. These are all great games that I felt deserved at least a curtain call before we hand out the awards and head into 2016. Broom Service- Like a lot of modern Eurogames, this one made a big splash and then sort of disappeared. It sold out as soon as it came out. It even won the Kennerspiel des Jahres. But it’s quietly shuffled away, out of the limelight. Which is a shame, because this is a charming family game with a toothy edge- and a really cool “brave witch”/”cowardly witch” mechanic driving the action. I still love this game, and I find myself trying to get folks to play it quite a lot. If only my kids were just a little older. XCOM– It’s kind of been shunted off to the side now, but Eric Lang’s “other” 2015 release was a compelling, innovative game that used an app that everyone worried would be obsolete ten minutes after it was released. This was a cool co-op that tried a few new things…and scared away the old folks. It definitely qualifies for a spot on the list. Blood Rage– And here is the Eric Lang game that everyone liked. Blood Rage is a stunning piece of design work, demonstrating a level of discipline and restraint rare even in the hybrid sector. It’s more Eurogame than Ameritrash in many ways, but it is just about as bloody and breakneck as any other game out there. A great production rounds out one of the best packages of 2015. Space Cadets: Away Missions– Dungeoncrawlers were a dime a dozen in 2015, but this is the one that had the most heart and the most fun to offer. The golden age sci-fi setting paired up with a couple of exciting, innovative mechanics made for one of the year’s best examples of the genre. Argent: The Consortium– Level 99 doesn’t make bad games, I’m convinced. But Argent: The Consortium is the best thing they’ve done to date. This is a heavyweight worker placement game that dares to be openly confrontational, competitive and cutthroat. Rich with detail and narrative, Argent would be the best Harry Potter game of all time…if they had the license. Evolution– Dom Crapuchettes took a Russian card game design and built a surprisingly narrative, thematic game on it. Evolution is really quite simple, but just like in biology things can get complicated pretty quick. I love how this game effectively creates a different biome with each play. The Flight expansion only made it better. Magic: The Gathering: Arena of the Planeswalkers– After much angst over whether or not Wizards of the Coast and Hasbro would support this sort of sideways resurrection of Heroscape, the deliverable was a top-notch mass market game with plenty of fun right out of the box. It of course did leave me wanting more, but this game has nowhere to go but up. If the powers that be will let it. Risk: Star Wars Edition– 2015 was the year that Star Wars returned, and this $25 mainstream title completely surprised everyone by turning out to be a redevelopment of the old Queen’s Gambit design from the Phantom Menace. But this time, the action is set during the three-layered Battle of Endor that closes out Return of the Jedi. Simple, fun, full of drama and loads of Star Wars love. Now, the Barnes’ Best Awards for 2015. 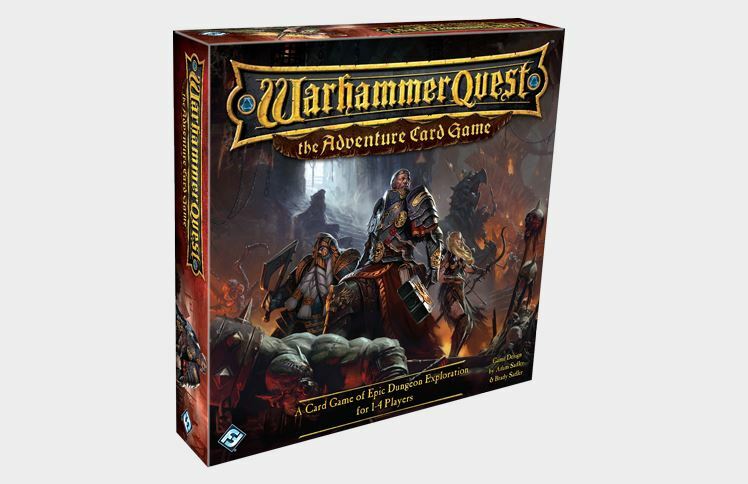 Warhammer Quest: Adventure Card Game– I’m kind of surprised that this little game beat out some of the above, but pound for pound this is one of the best card games on the market. It blows its competitors out of the water by offering a rich, challenging dungeoneering experience with meaningful cooperation, interesting mechanics and a genuine sense of that old Warhammer Quest atmosphere. I keep coming back to this game- specifically the Delve mode- over and over again and I come away satisfied every time. It’s the game that I wanted the Lord of the Rings LCG and Space Hulk: Death Angel to be. It’s also the game that I wanted Pathfinder to be. Adam and Brady Sadler completely knocked it out of the park on this, and I think with expansions it will be a game we are talking about throughout the next year. 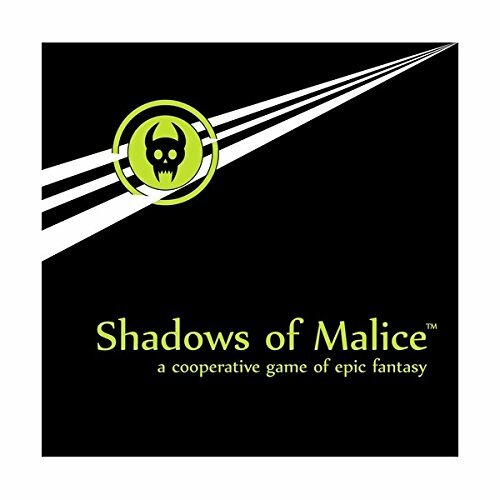 Shadows of Malice- I don’t think any game touched me in 2015 quite the way that Shadows of Malice did. I requested a review copy of this game from one-man-band Jim Felli almost exclusively because it looked so different than anything else from the graphic design to the concepts to the gameplay. And it is very, very different. It’s lean, spare and minimalist but it somehow manages to evoke the same kind of storytelling and engagement that a great D&D campaign or a game of Magic Realm might. It’s a little awkward, a little alien but once you dig into Mr. Felli’s unique vision, an incredible adventure game like no other unfolds. Compared to other, similar designs this game felt like something on the vanguard- daring, risky and challenging. Cthulhu Wars- It’s something of a Cinderella story for this $200 gorilla because I never thought I would cover it- let alone own it. But Sandy Petersen and his gang agreed to send me one, and I’m glad that they did because it turned out to be my favorite game of the year. It was also the most surprising game of 2015- it wasn’t bloated or underdeveloped at all like most crowdfunded games. Instead, it was lean and quick, managing to feel both old school and forward thinking at the same time. Of course, the production was just insane, with HUGE plastic figures that managed to pop even my miniatures-jaded eyes. Above all else, Cthulhu Wars provided some of the most fun sessions I had all year and I’ve found myself counting down the days until the next wave of expansions ships- I can’t wait to see how the other Great Old Ones, maps and other features work in this system. So that’s it folks, everybody go home. Wait…what’s this then…apparently there is another. I’m so sorry, there has been a mix-up. One of the games of 2015 is upset because it did not get a medal. So I’m going to go ahead- on behalf of my children, River and Scarlett- and invite this game up to get the MOST AWESOME GAME OF 2015 Award. 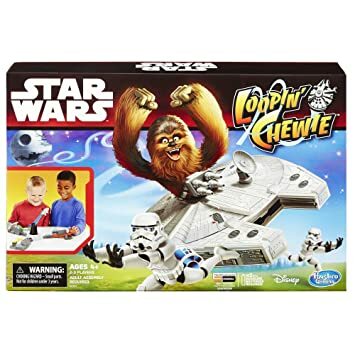 Ladies and Gentlemen, LOOPIN’ CHEWIE!!!!!!!!!!!! Definitely the best games of 2015. A very well-deserved list of best games indeed. I have loved the Rocket League and was quite surprised not to see it in this list. It has been a wonderful game of 2015 as well. I believe that every person determines what game is best for him, because everyone has different opinions on this matter. The site is really intersting and i have agood time after reading your site. Come here to get something new.